Just on my way back from Sarah Ahmed’s 50 Great Portuguese Wines tasting. Having done this job last year, I know how difficult it is to narrow down this selection to just 50: Portugal must be the most underrated wine-producing country on the planet. Sarah is pictured right, with one of her favourite whites. Sarah’s selection was excellent. I think we have quite similar tastes in terms of preferred styles, opting for precision and elegance over raw power. But while there was inevitably some overlap with last year’s top 50, I made a few new discoveries from her selection. And this year saw more whites than ever before, which I think is a good move. My favourites from the tasting? The Quinta das Bageiras Garrafeira Branco 2007 from Barraida was brilliant. For me, it was the pick of the whites, with precision, minerality and complexity. Also stunning were the Quinta de Saes Reserva Branco 2008 from Dão and Dirk Niepoort’s Redoma Reserva Branco 2008 which will likely age brilliantly. I should also mention the superb Po de Poiera white 2008 and the dense, bold Pera Manca Branco 2007 from the Alentejo. I was really taken by the MJC Colares 2005 with its sappy, fresh cherry fruit profile. Lovely wine in a lighter style, and nice to see something from this tiny appellation. 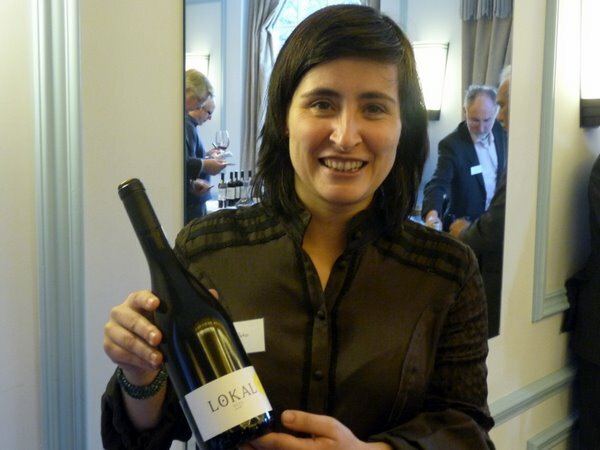 Filipa Pato’s Lokal Silex 2008 was probably the red wine of the tasting: beautifully precise and perfumed with elegance and power, like a great Burgundy. Her dad’s Vinho Barrosa 2005 Barraida is an incredible wine, too: dense, structured, spicy with a hint of mint and eucalypt – massively concentrated. Filipa is pictured below. Falorca’s T-Nac 2007 shows how beautifully perfumed Dão Touriga can be. 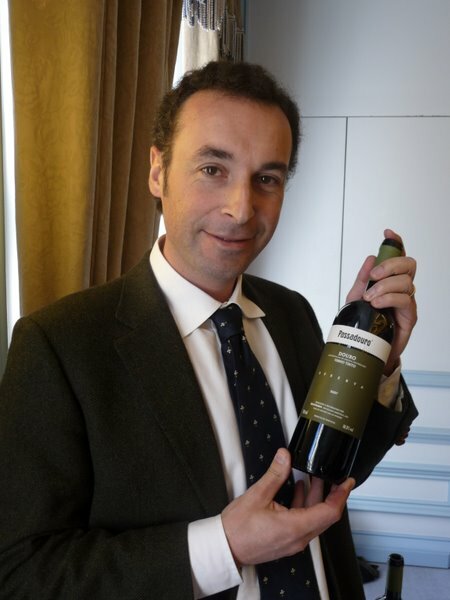 Alvaro Castro is a Portuguese legend, and his Pellada Reserva 2006 Dão showed really well, with power, concentration, freshness and elegance. Also from the Dão, a new wine to me was the dense, taut, Touriga-dominated Vinha Paz Reserva 2005. To the Douro. Niepoort’s Redoma Tinto 2007 is fresh, bright and focused with some stern structure hiding under the pretty fruit. This will age very nicely. Jorge Borges (above) was present showing his Passadouro Reserva 2007, and it’s a brilliant example of the Douro at its best, with a tight minerally core to the focused, structured dark fruits. Quinta da Crasto’s Vinha do Ponte 2007 is a remarkably complex wine, albeit one made in quite a ripe, forward style with noticeable oak. Still, there’s no doubting its complexity and interest. It was nice to be able to try a back vintage of Quinta do Vale D Maria, the 2004. This is opening out and developing, and is now sweetly fruited and elegant – probably the right time to drink it. The Alentejo selection showed well. Herdade de Grous 23 Barricas 2008 is surprisingly light and fresh with some elegance. The Malhadinha Tinto 2007 is a superb wine with amazing purity of rich, ripe fruit. I was really impressed by the Sao Miguel Descobridores Reserva 2007, which showed beautifully poised cherry and blackberry fruit. But the two stars from this region were the wonderfully fresh, finely poised Mouchão Tonel 3/4 2005 and the almost impossibly dense Grande Rocim 2007, a varietal Alicante Bouschet. Overall, a very exciting tasting with some really impressive wines, showcasing the excellence and diversity of the modern Portuguese wine scene. Great to see more support for Portuguese wines. I love Touriga. Any tips on where to get these in the UK? Site looks really good. Love the pics and comments from Sarah Ahmed and 50 great Portugese wines. 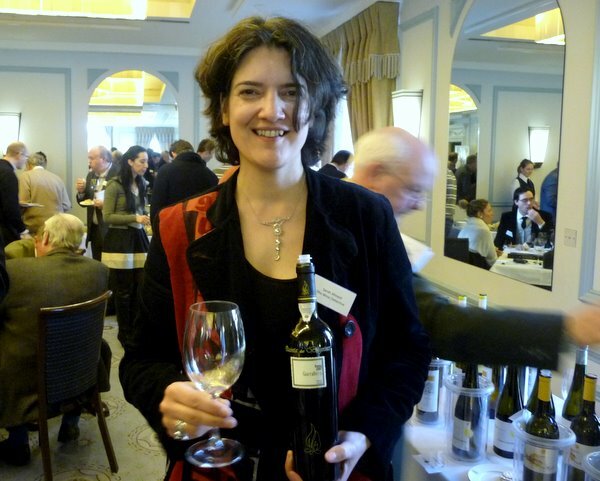 Am a great fan of Sarah, she is a really decent wine writer. The site is clean, crisp (no this is not a review of a Sauvignon Blanc), and is easy to navigate with little clutter. Really a step up from your last site, which was also good. It is ironic because I am getting used to WordPress and our site goes live at lunchtime today…what a co-incidence. Look forward to meeting you someday soon, Keith Prothero said he would introduce me to you. I am passionate about wine, food and people. Have a look at our site and please give me some feedback. Sarah has reviewed the site and said it looks good. Our first grapes were harvested on Friday (Chardonnay) and now is the hard work. Sarah – you can find the availability of Portuguese wines in the UK on viniportugal’s UK site. Tim, thanks for the positive comment. the wordpress is ok. but, what happened to the Colares photo that you had in your previous version on Sarah’s 50 best? My fiancee and I are visiting the (eastern) Algarve in just 3 weeks, and have a real love of Portuguese reds. I thought therefore this may be a good opportunity to ask any advice of local reds (or labels) to look out for to get the most out of the trip.